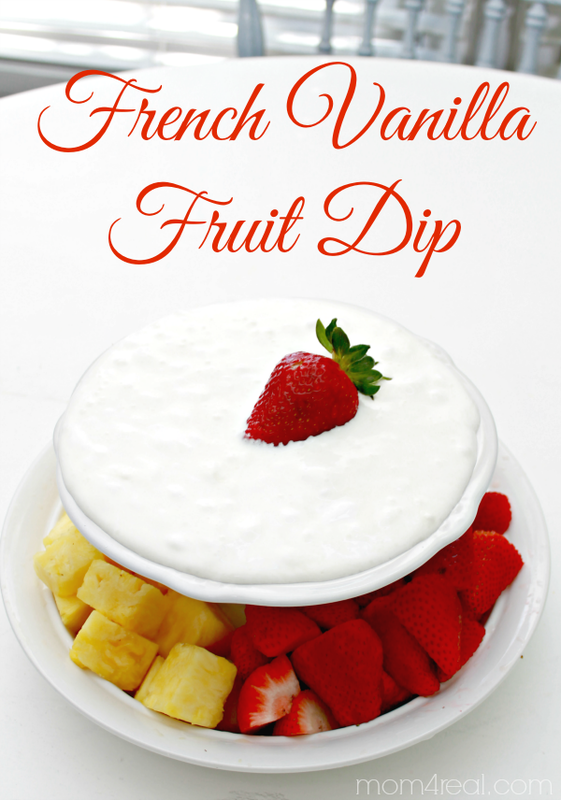 Today I want to share one of my favorite go to party recipes with you…my yummy, 3 ingredient French Vanilla Fruit Dip Recipe! Guys…this dip is seriously addictive and will be the star of the show wherever you go! It’s the perfect last minute recipe for any picnic, get together, birthday party….or if you are in a crunch like I was for a last minute Easter appetizer! All you need is a 13 oz. 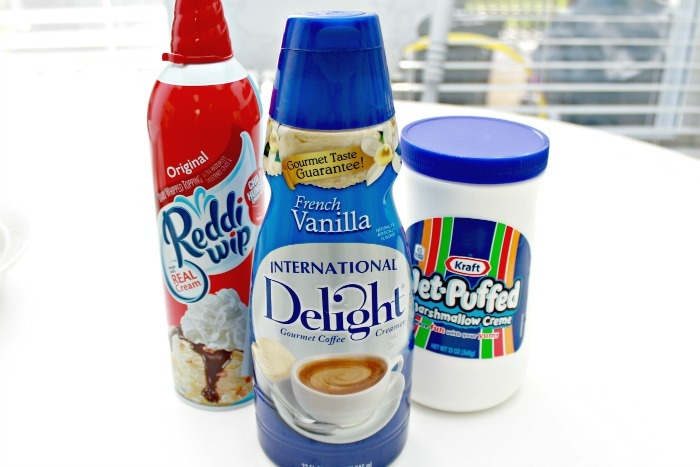 container of marshmallow creme, some whipped creme and a splash of International Delight French Vanilla Creamer! Yep…just 3 ingredients! 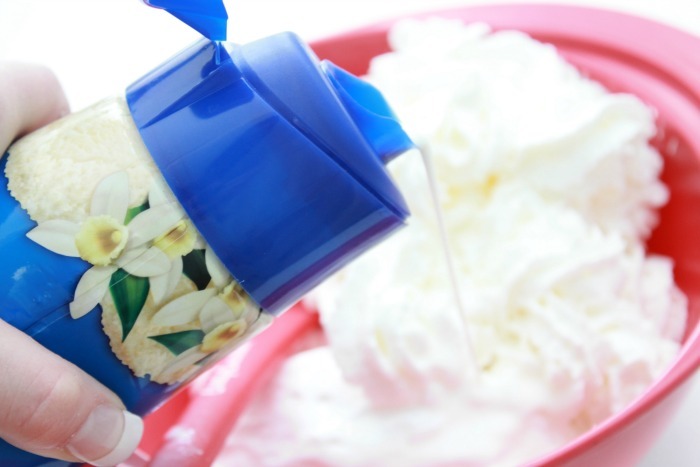 Mix the entire container of marshmallow creme with an equal amount of whipped cream, then add a splash or two of the French Vanilla Creamer! Stir well, and cover for about 2 hours in the refrigerator. 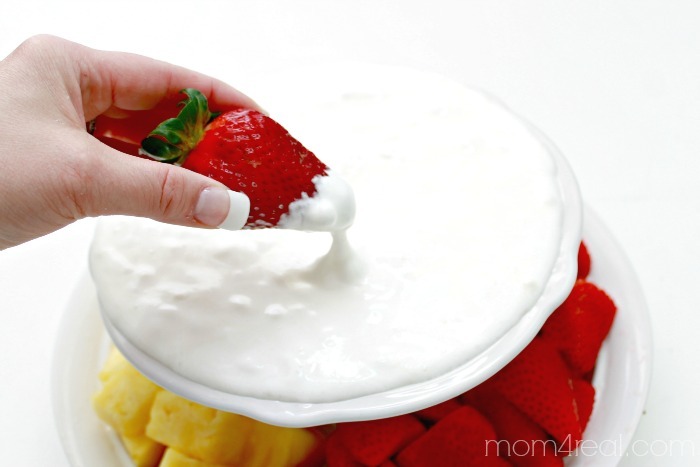 Take out and serve with you favorite fruits or even cookies! I prefer it with pineapple, strawberries and granny smith apples. Need to know how to cut a pineapple? You can find that, HERE! For more Easter Ideas and Inspiration, check out International Delight’s Easter Ideas Pinterest Board…it’s full of fun Easter goodness!